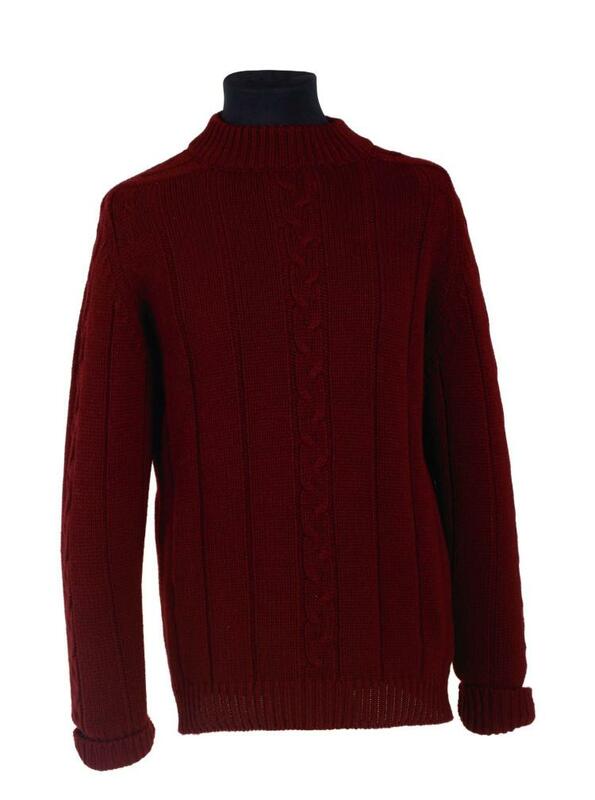 Description: The design of this cashmere jumper was originally recreated for Huntsman client Joe Tobin, based on a jumper sold at Huntsman in the seventies and long discontinued. The sweater is made from a 6 ply, 16 micron 100% Cashmere sourced from Himalayan goats, allowing for the softest, most luxurious wearing experience. This is one of two prototypes (the first made for Mr Tobin) and is available in Huntsman claret, size Large; however, as with everything Huntsman, it can be made to your size and in choice of claret, grey, or navy.